Students love countdowns! Use this Hunger Games themed countdown sign to countdown the days till testing! 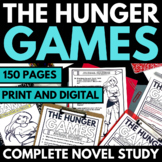 These are two short tests over part 1 "The Tributes" and part 2 "The Games. The tests focus on literary terms such as characterization, symbol, setting, mood, and conflict. These are all terms that students need to know in the common core. Motivate students by writing them a little note on a bookmark for testing day. 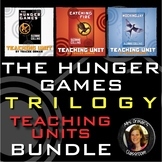 There are several options to choose from with a Hunger Games theme. These bookmarks are editable. There are two choices. You can hang these as posters or you can hang as banners. One says Welcome Tributes and the other days District # Add the grade level you teach for the district #. A Hunger Games themed testing sign to hang on your door. A polite way to let others know you are testing. Two wording options to choose from. This can be made into a bulletin board or simply hang in the room. There are two choices to choose from for a title. Have students write testing tips on the parachutes as a reminder of what strategies to use when testing. 5 motivational posters to hang around the room while preparing for state tests to make review time a little more fun and creative! This is an interactive and unique review game created for any subject and any grade level! This product is designed for classes of 24 or below. Your students will be hooked once you show them this new review game! Have fun playing your way to mastery of the Common Core State Standards!!! 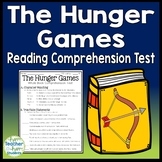 This is a short answer test over Part II of the Hunger Games. 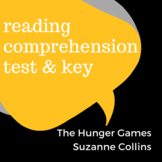 I give the students a test after each part of the Hunger Games because there is so much material to cover. It focuses on major events from chapters 10 - 18. An answer key is provided for your grading convenience. Hang this poster up and print one off for your students. This file is editable so you can put in the abbreviation of your state test. Enjoy this FREEBIE!